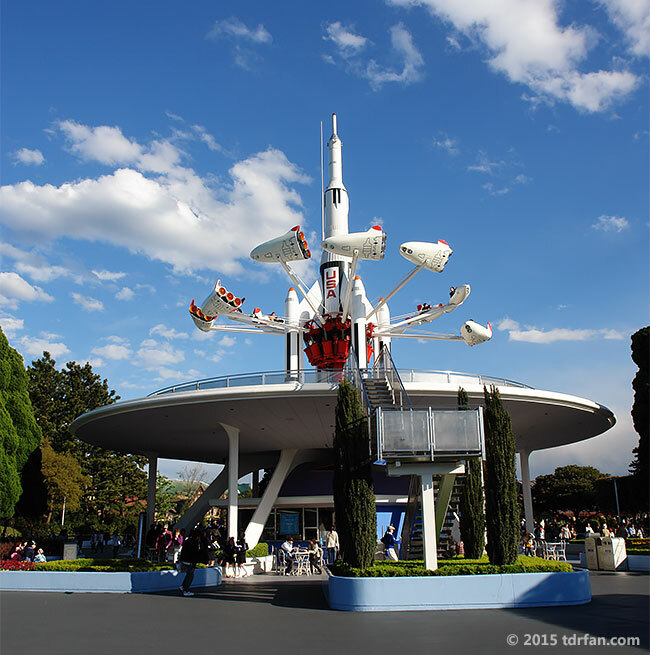 The StarJets attraction has been around in one form or another since Disneyland in California opened way back in 1955. You ride in a car fashioned to look like a rocket ship, and spin around for about a minute and 30 seconds. You're able to control the up and down movement of the car via a small lever on the inside. It's sort of a grown-up version of Dumbo The Flying Elephant.